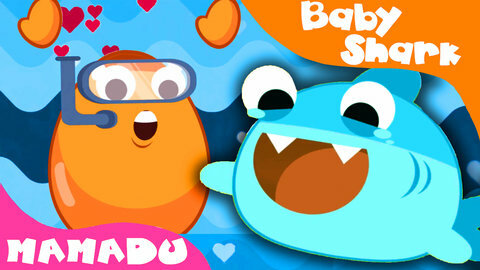 Sing the “Baby Shark” nursery rhyme while watching Brother in his awesome underwater adventure music video. Brother meets the very friendly baby shark and the other members of the Shark family but runs away and escapes because the sharks are hungry. Kids will learn the song faster with this video because it is very entertaining. Learn more songs by watching more free videos at SeeZisKids.